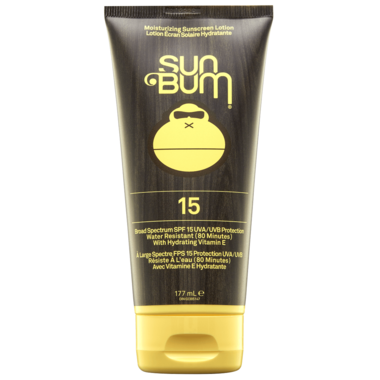 The Sun Bum SPF Moisturizing Sunscreen Lotion will protect your skin from harmful UVA/UVB rays while enriching your skin with Vitamin E, an antioxidant that helps to neutralize free radicals, which are the main cause of premature skin aging. Directions: Apply liberally 15 minutes before sun exposure. Reapply after 80 minutes of swimming or sweating, immediately after towel drying, and at least every 2 hours. For external use only. When using this product: keep out of eyes. If product is swallowed, get medical help or contact a Poison Control Center right away. Ask a doctor before using this product on a child under 6 months.